The majority of the apprenticeships will be electrical with a small number HGV mechanic apprenticeships. THE APPLICATION PROCESS for ESB’s apprenticeship programme is now open. Up to 100 apprentices will be taken on in 2016. Some 120 people were hired last year, as part of the organisation’s plan to hire 300 apprentices between 2015 and 2020. The majority of the apprenticeships this year will be electrical with a small number heavy goods vehicles (HGV) mechanic apprenticeships. The online application process, which opened yesterday, will close on Monday, 4 April. ESB said the programme is “a keystone … in ensuring that the company maintains the level of skills available for the maintenance and enhancement of Ireland’s electricity system”. Based at the ESB Networks Training Centre in Portlaoise, the electrical apprentices will complete four training levels totalling 23 weeks, in addition to state training. A spokesperson for the company said they were “not in a position to disclose the precise level” of allowances paid, but said they are in line with standard apprenticeship rates. Apprenticeships are an invaluable and very effective means of developing high quality skills needed in a modern economy. ESB has been very well served by the existing apprenticeship system and Irish industry and businesses can greatly benefit by the expansion of apprenticeships into other sectors of the economy. Candidates must be over 16 years of age as of 1 June 2016. Training will commence in autumn of this year. **A Grade D or higher in any of the following Leaving Certificate subjects is acceptable: Art, Construction Studies, Design and Communication, Graphics, Engineering, Home Economics, Technical Drawing and Technology. Email “Looking for work? ESB is taking on up to 100 apprentices this year”. Feedback on “Looking for work? 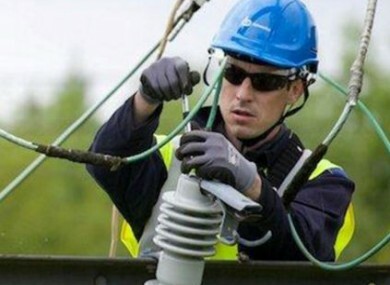 ESB is taking on up to 100 apprentices this year”.